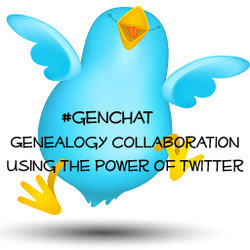 This post is part of the 52 Weeks of Writing our Memories challenge by Lorine McGinnis Schulze at Olive Tree Genealogy who has challenged us to write our memories for our future generations. Choosing a favorite relative is hard. I don't think I have a favorite above all the others. I enjoyed going to the Big House to see my Roberts relatives. I liked going to Grandmama and Granddaddy's house (my dad's parents) on Slater Street. I liked visiting with all of my cousins on both sides of my family. But the relative I was most excited to see was my mom's sister, my Aunt Catherine, whenever she came home for a visit from one of the many countries in which she lived. 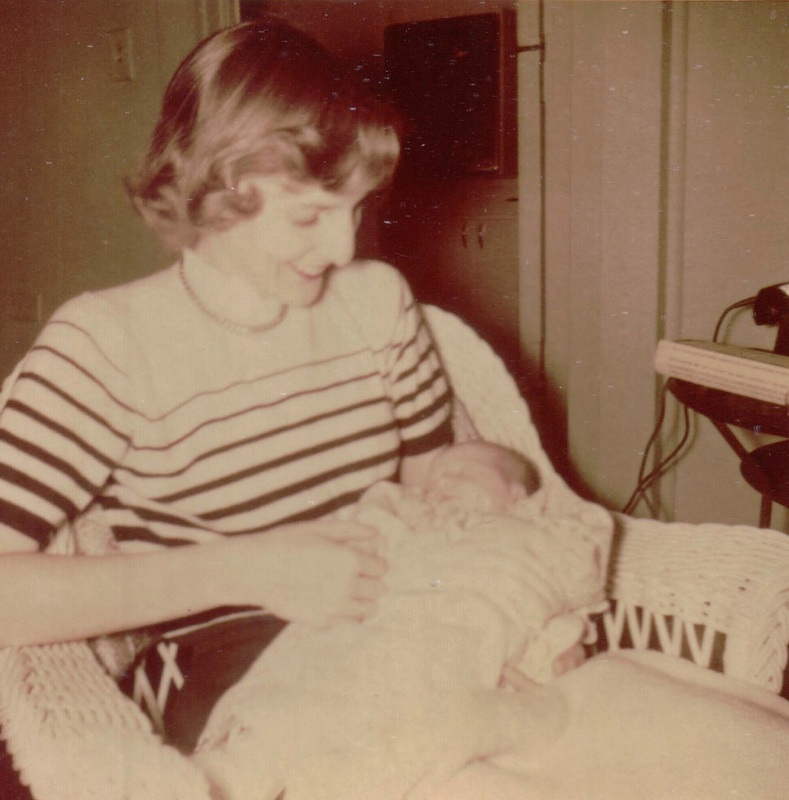 My Aunt Catherine and me not too long after I was born. I wrote about Aunt Catherine during Women's History Month in March 2013 in Fearless Females March 8 - Letters from the Foreign Service. I thought she led such an exotic life! I looked forward to her visits, especially to see the present she brought for me. She gave us the most interesting gifts! She gave me a doll from every country she lived in or visited. I still have most of them. 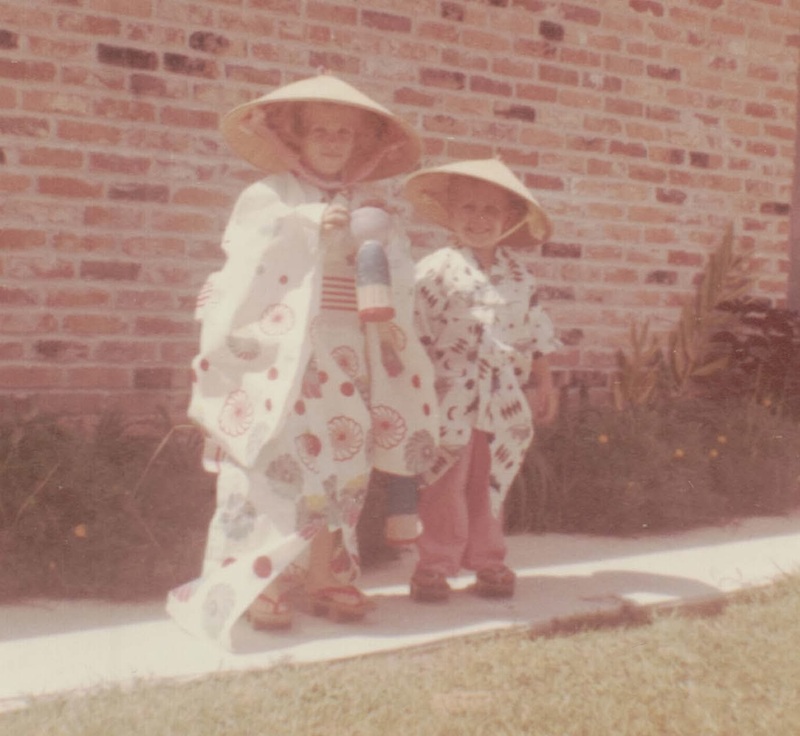 My brother Andy and me in the Japanese outfits that Aunt Catherine gave us. I still have the hat. In a reply to a comment on the post that I wrote about Aunt Catherine last year, I said she was the first person I thought of asking to accompany me when I drove from Anchorage, Alaska, to my hometown Valdosta, Georgia, when I decided to move back home. "I figured after the life she's led that she'd be up for the adventure." Lucky for me, she wanted to do it, and she had the time to spare since it would take 15 days and 5,577 miles!